This recipe is inspired by Against All Grain’s Lamb Gyro with Tzatziki. 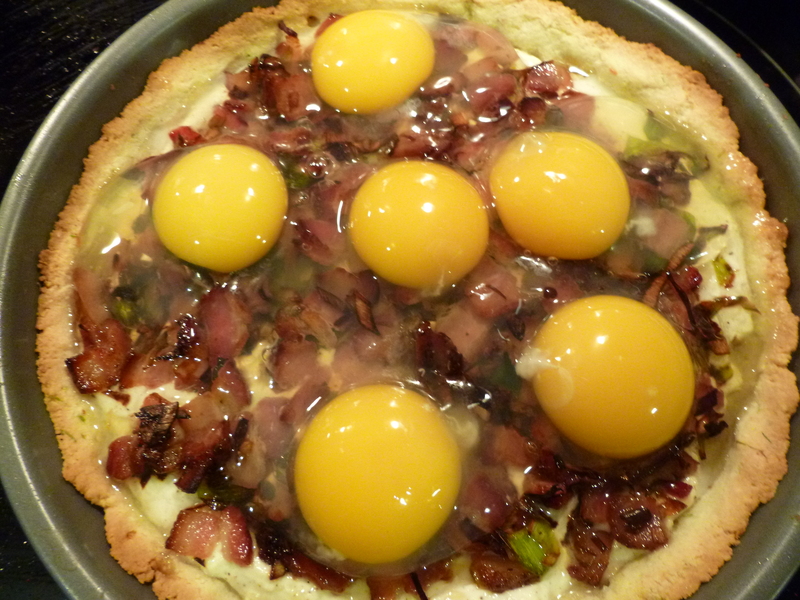 I have tried her recipe as is, and make no mistake, it is good. 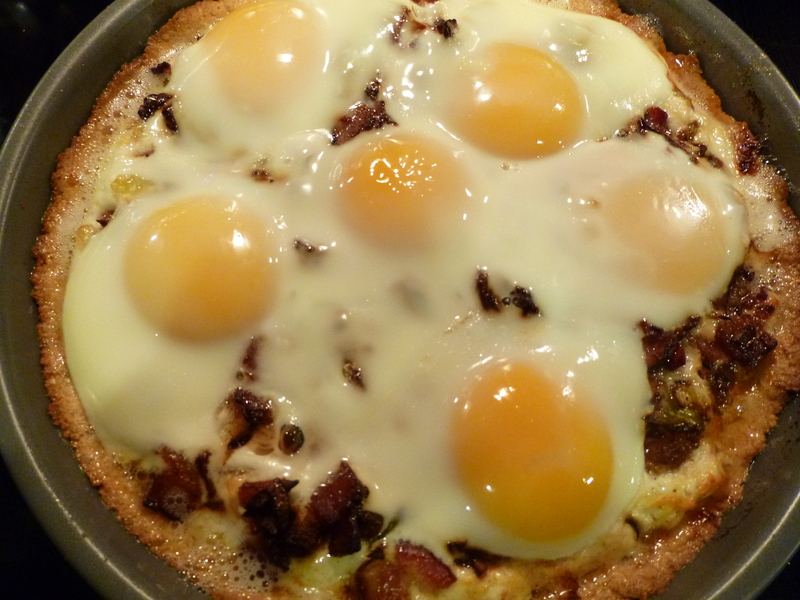 My husband declared it one of his all-time favorite meals (SCD or not!). But I had a dilemma when I went to the grocery store recently and they were out of lamb. We have been trying to incorporate more seafood, anyway, so I decided to slightly alter the recipe to make it work for us. Shrimp are a wonderful source of the powerful anti-inflammatory and antioxidant nutrient astaxanthin. This nutrient suppresses inflammatory messages like tumor necrosis factor alpha, which is actually similar to the way common IBD medications like Humira reduce inflammation in the body. Shrimp are also very high in B vitamins, which patients with IBD sometimes have to receive by injection because of chronic deficiencies, along with selenium and protein. They are a good source of iron, zinc, and several other minerals as well. 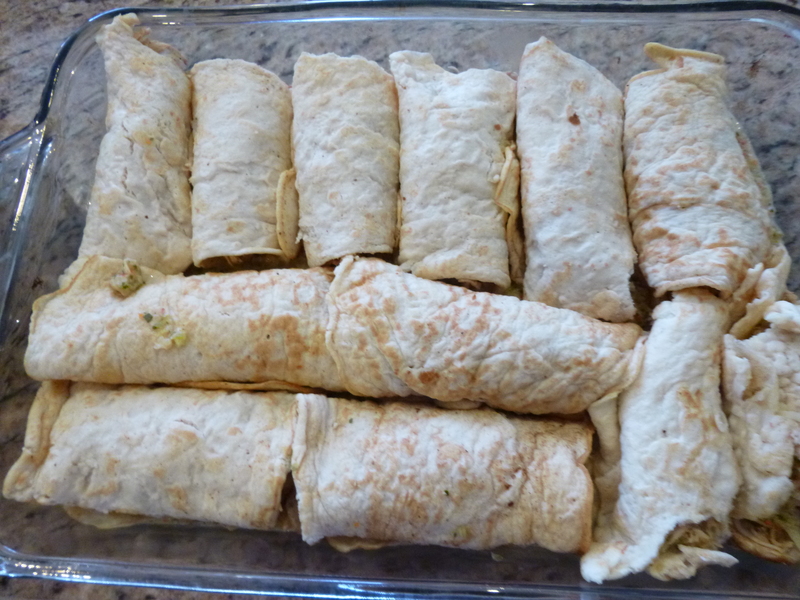 And let’s not forget that they are delicious and super fast to prepare! 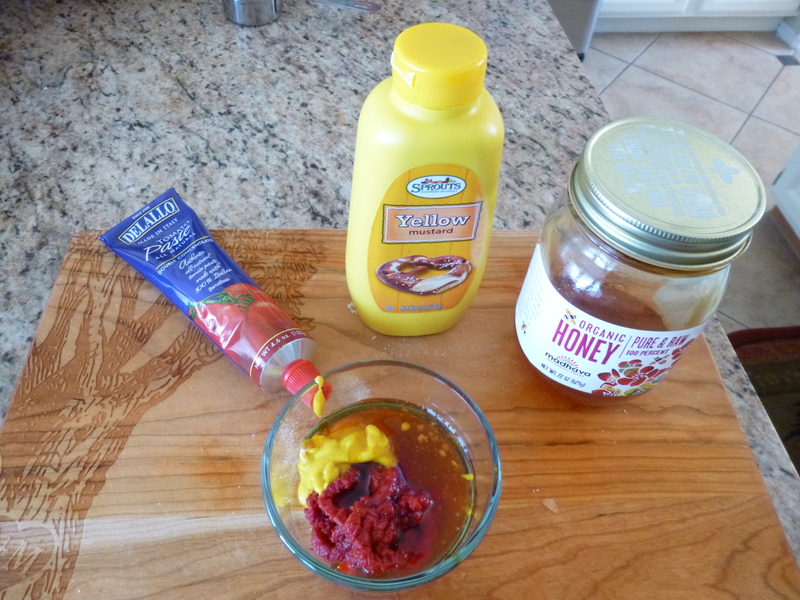 First prepare your marinade by mixing all these ingredients in a large bowl. Throw in the raw shrimpies, toss well, and put them in the fridge for at least 30 minutes to marinate. 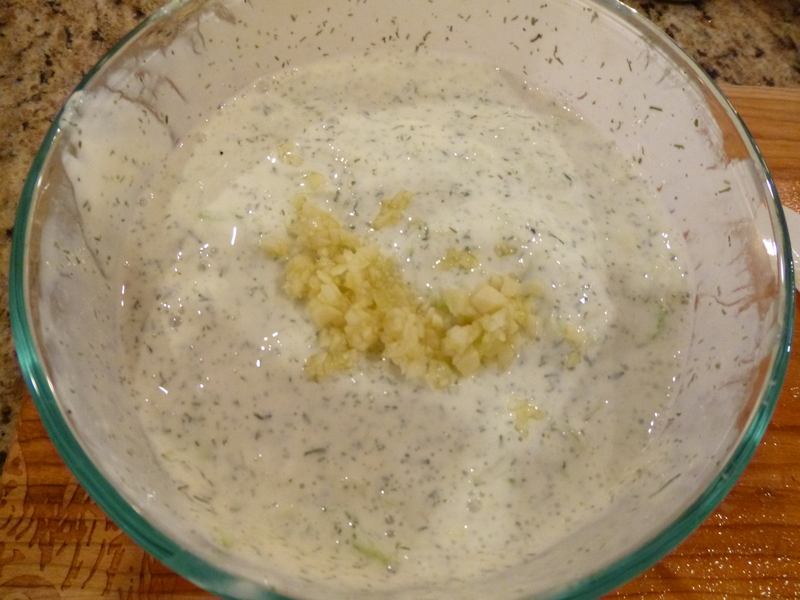 While they are marinating, prepare your tzatziki. Mix well. I forgot the garlic at first. DON’T FORGET THE GARLIC! 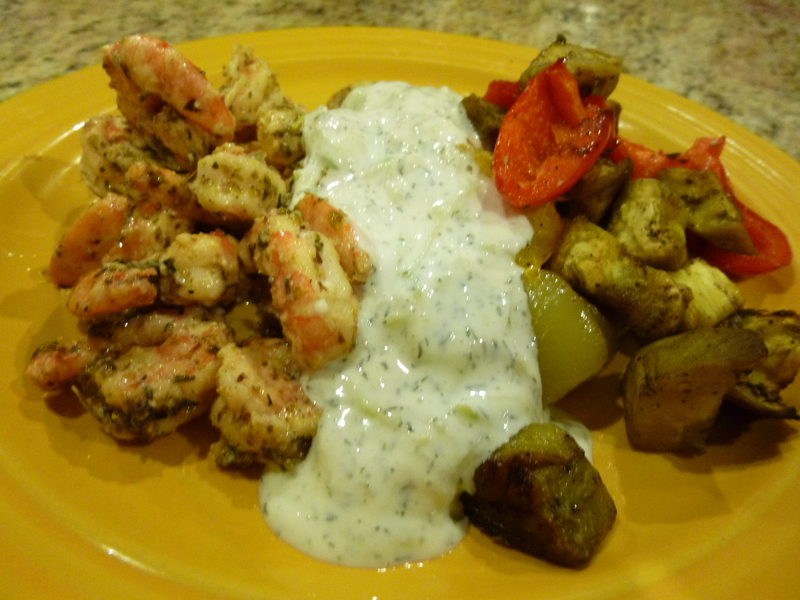 Once the shrimp have marinaded for awhile and the tzatziki is ready, heat up a large pan until very hot and dump shrimp, along with marinade, into pan. They will cook very quickly so don’t step away. Cook, stirring regularly, until the shrimp are pink and curled and the liquid has reduced. Serve with veggies of choice (pictured here with my Mediterranean Roasted Veggies) and a generous serving of tzatziki. I tried to make it look pretty for the picture but in reality we mixed it all up and inhaled. 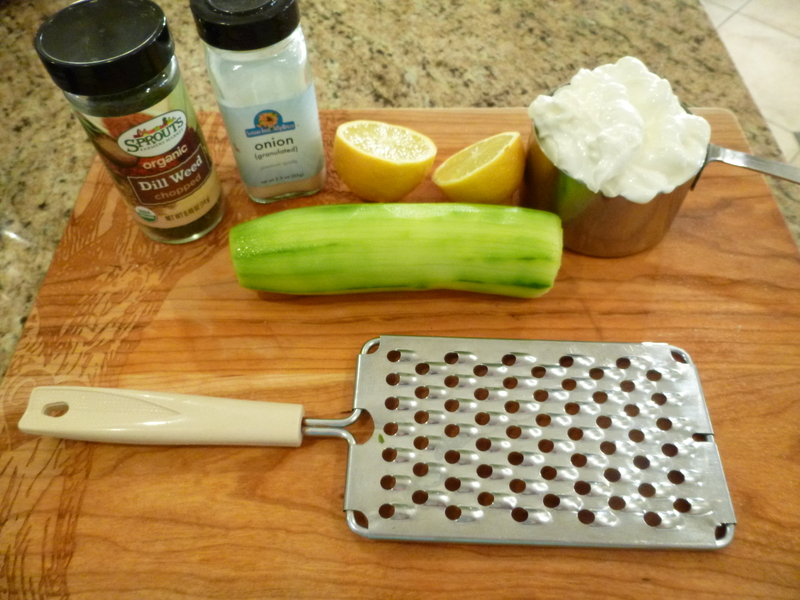 This would also be very good on salad greens if you tolerate raw vegetables well. 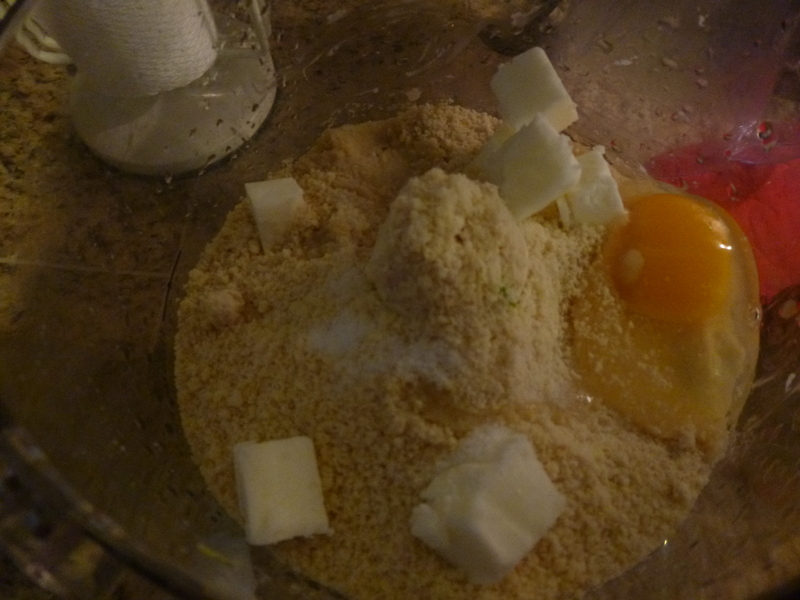 Combine all ingredients except the shrimp in a bowl and stir to mix. 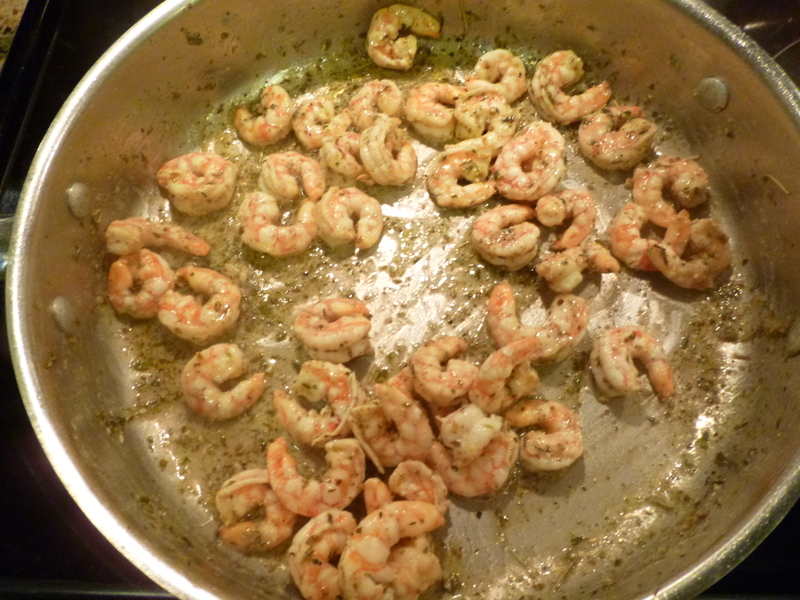 Toss the shrimp in the bowl until evenly coated and let marinade in the refrigerator for about 30 minutes. Heat a skillet until it is very hot. 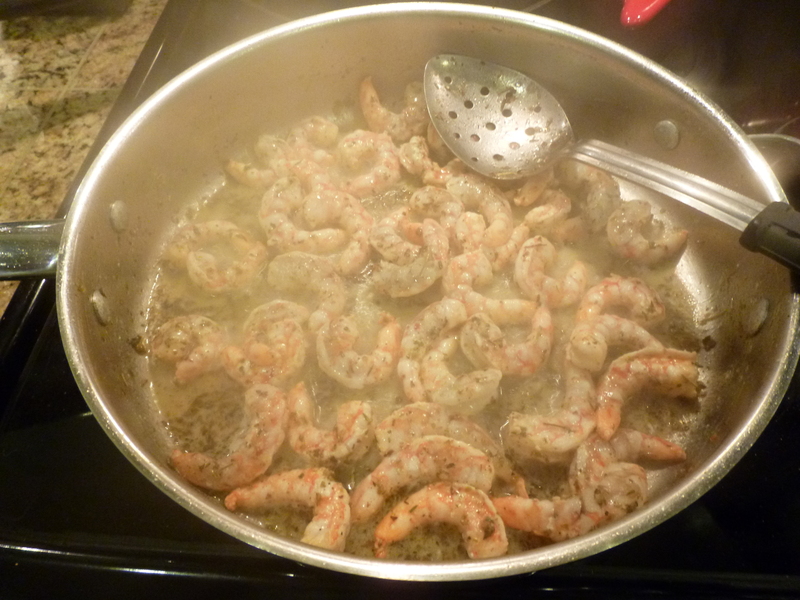 Pour entire contents of bowl into the skillet and cook, stirring frequently, until the shrimp are pink and curled with no translucent spots in the middle and the liquid is somewhat reduced. 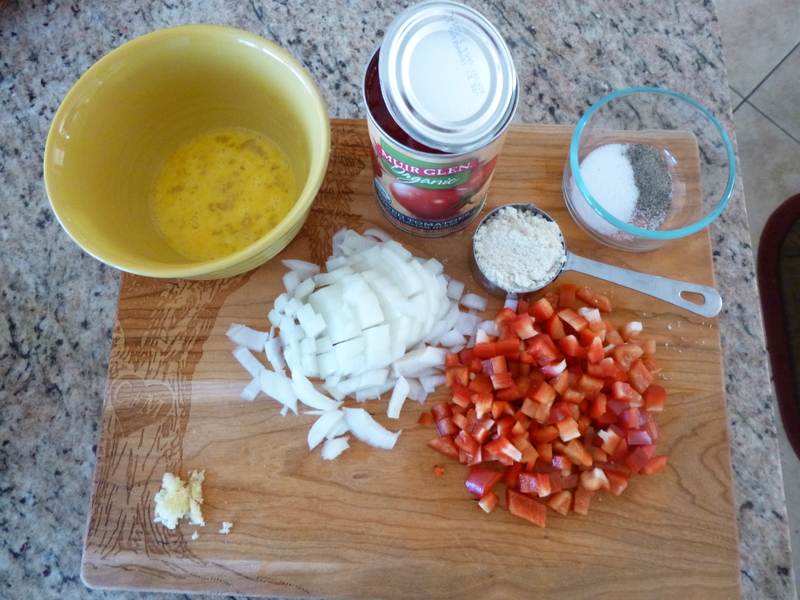 Combine all ingredients in a bowl and stir. 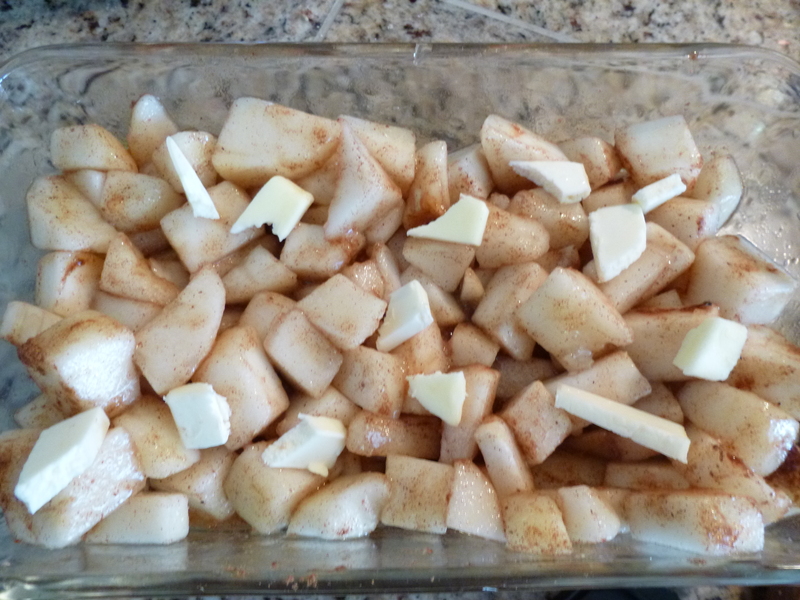 Best if prepared at least 30 minutes ahead of serving so that flavors can meld. Line a large cookie sheet with a piece of parchment paper or a silicone baking mat. 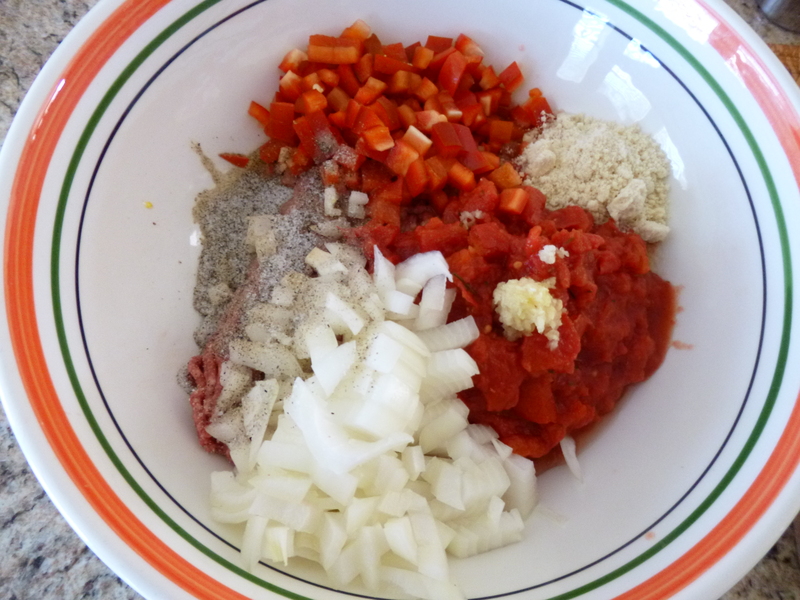 Toss all ingredients in a large bowl. 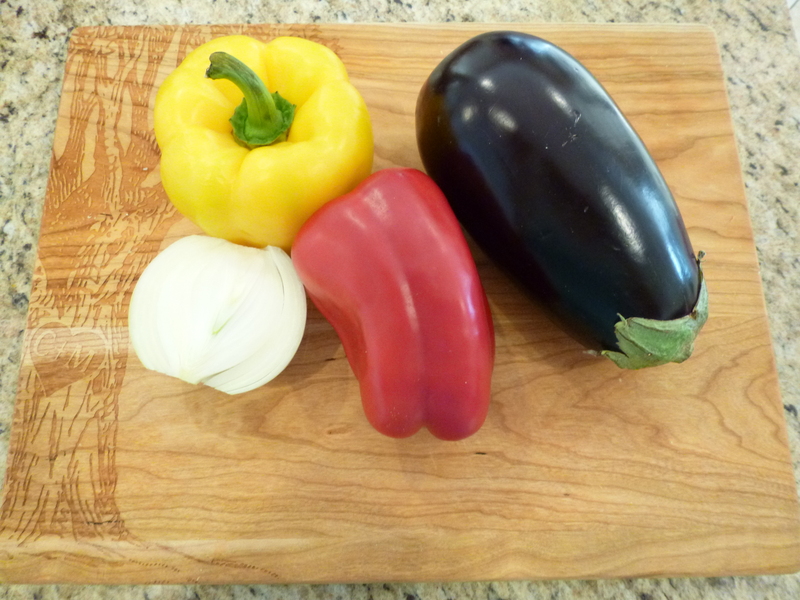 If the oil seems to be absorbed too quickly by the eggplant, add a little more until all the vegetables have a very light coating of oil but there is no excess in the bottom of the bowl. 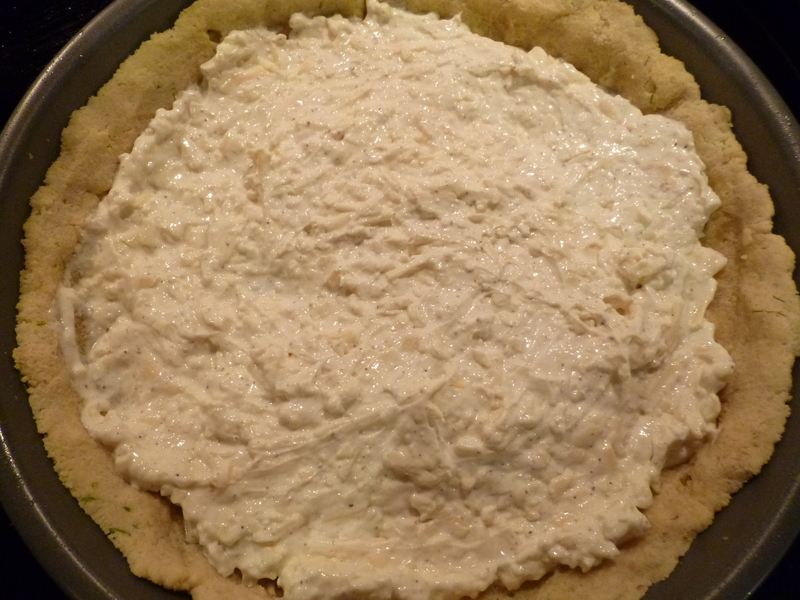 Spread in a thin layer on prepared cookie sheet. 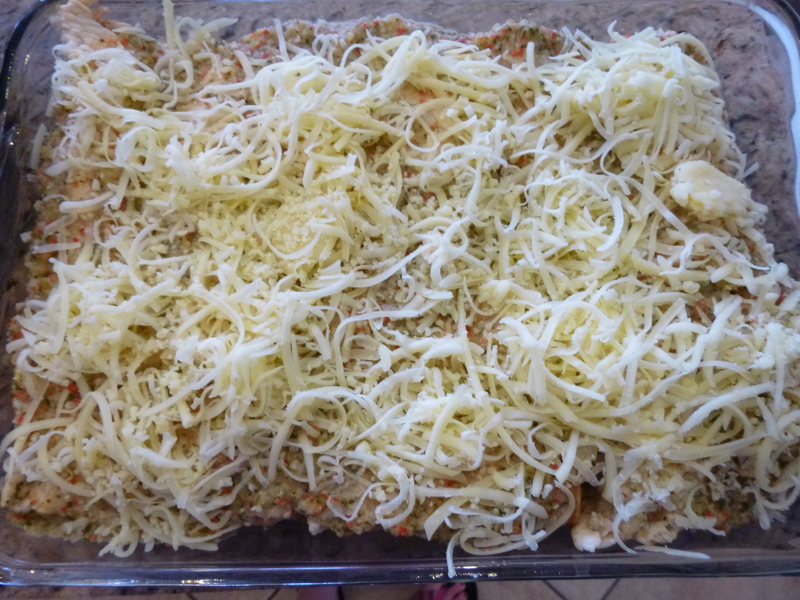 Bake for 20-30 minutes, until all veggies are soft and starting to brown around the edges, stirring every 10 minutes. 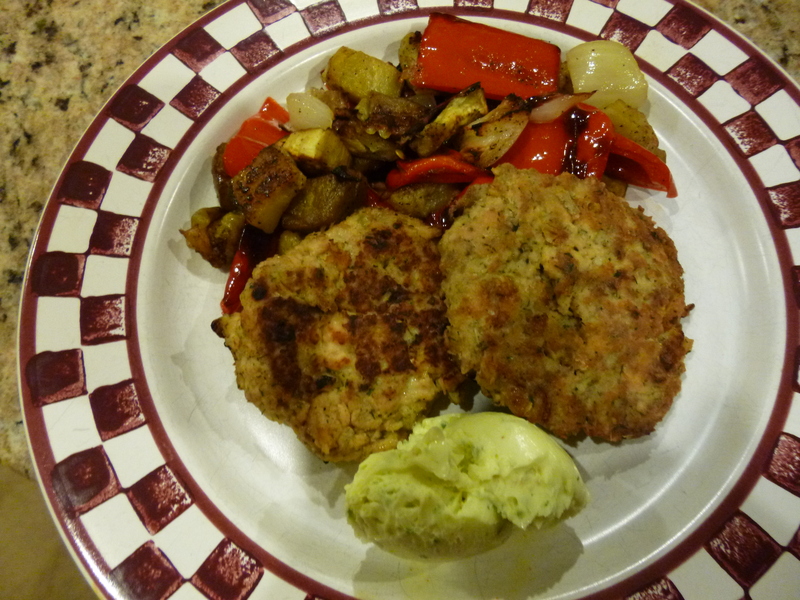 Tonight I served this dish with my Quick Salmon Cakes (recipe coming soon)! Recently I have gotten into the habit of roasting a whole chicken and making homemade bone broth every week. 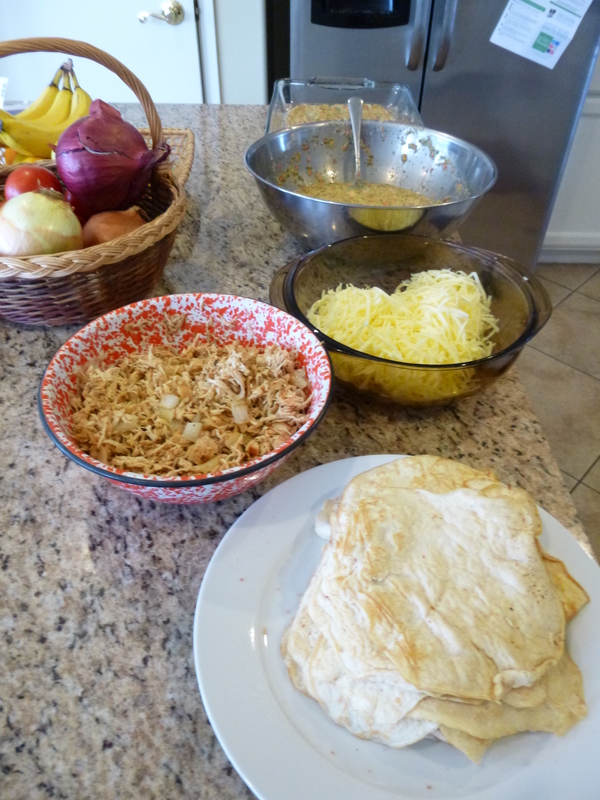 This process requires a bit of up-front work, but then it makes meal preparations so easy for the rest of the week. One chicken easily feeds my husband and me for 4 meals, and I use the bone broth in the place of water in pretty much every savory recipe I make. Bone broth also makes a really good snack or very light meal, especially during a flare. It is very easy to digest and is full of nutrients that fight inflammation, reduce joint pain, boost immunity, keep bones strong, and strengthen hair and nails. This article among many others provides some good information on the health benefits of bone broth. Interestingly enough, I have found that both traditional and alternative sources strongly recommend broth consumption to IBD sufferers. 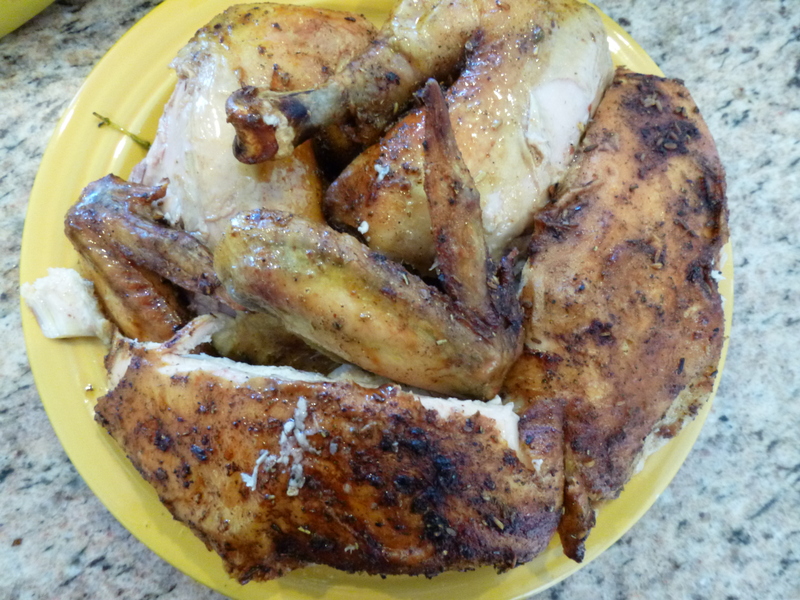 I feel like roasting a chicken should be a fairly simple operation, but we are so far removed from the natural state of our food that I feel like most people my age seem scared to buy and prepare a whole bird. I am going to walk you through the process step-by-step, and I promise that you can do it and even your grandma will be impressed with the result! 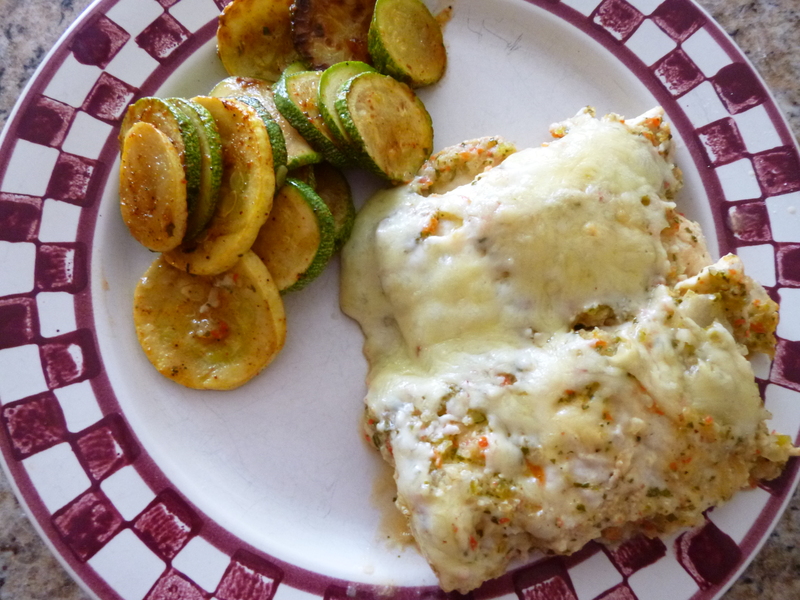 We normally eat the chicken and vegetables plain for a few meals, and then I use leftovers in recipes throughout the week. 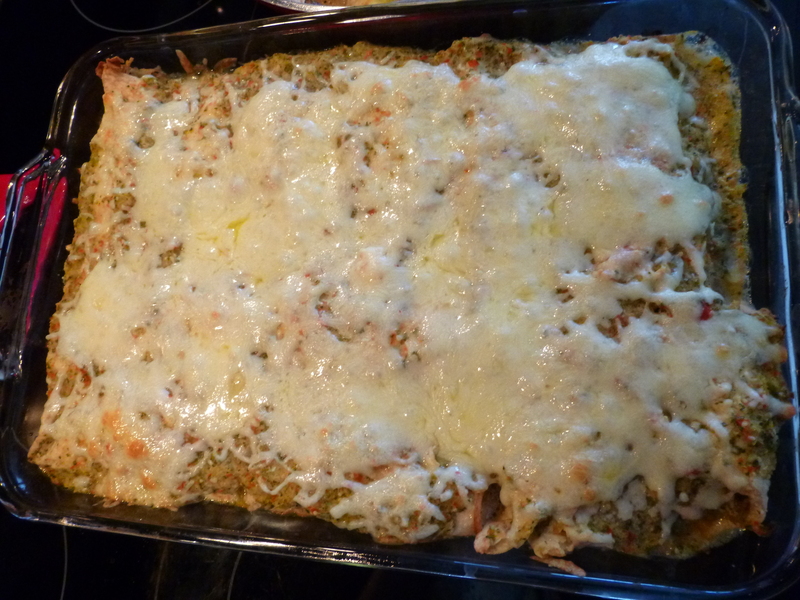 This week we used leftovers to make PaleOMG’s AH-MAY-ZING chicken pesto pasta. 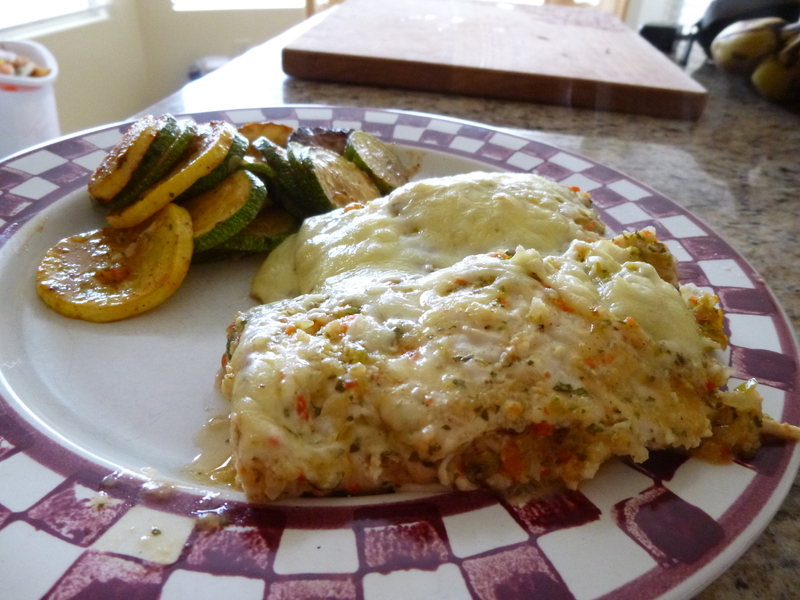 Since the chicken was already cooked, it was a total snap to throw this delicious dinner together! Leeks have a tendency to collect a lot of dirt as they grow. 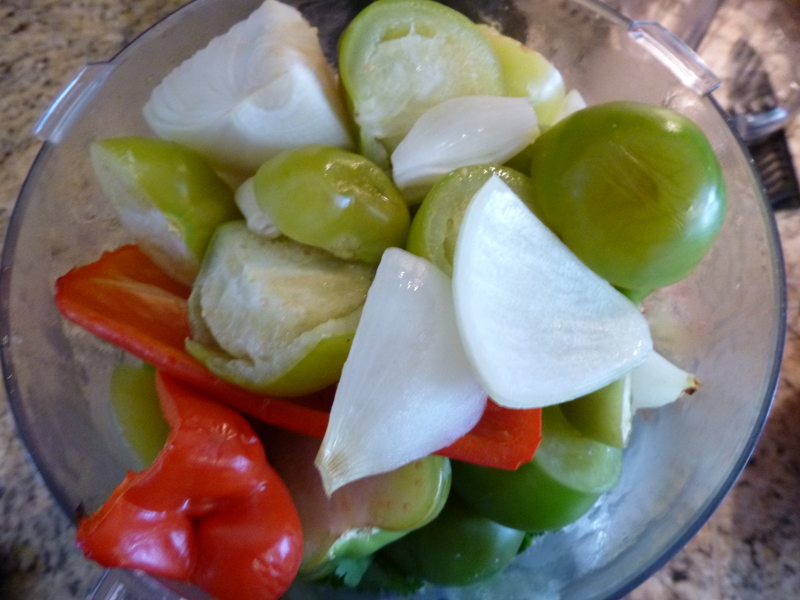 To clean them, cut off the dark green leaves and the white end. 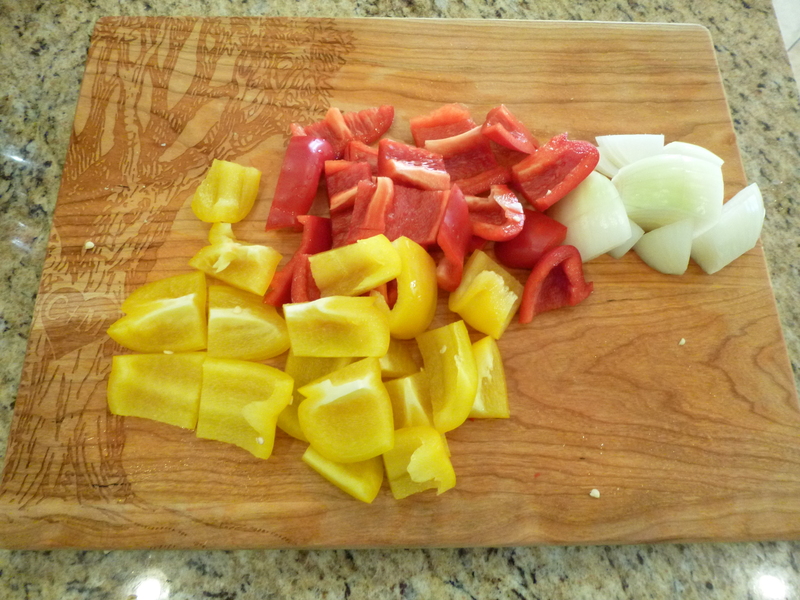 Slice into the vegetable about halfway up the stalk and separate the layers so you can wash between them. Chop off the tops and ends of carrots; then peel and chop in half. 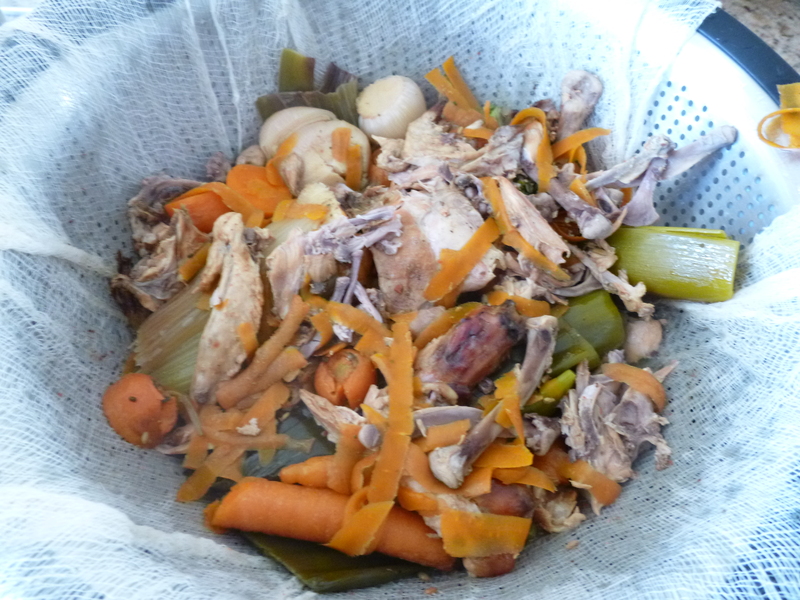 Throw the waste from the leeks and carrots into your crockpot for later. Arrange the cut, prepared vegetables and one third of your fresh herbs in the bottom of a casserole dish and add white wine. 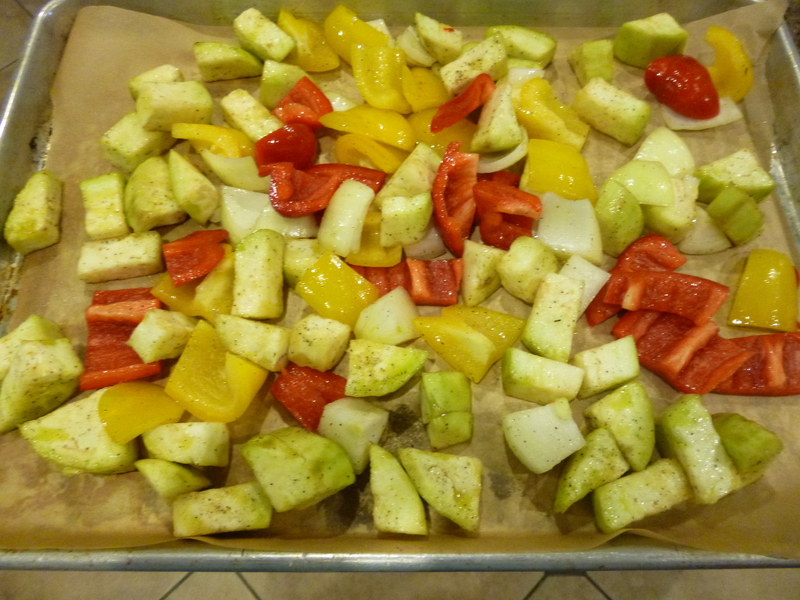 Drizzle olive oil on top of the veggies and sprinkle a little sea salt and black pepper on them. Prepare your spice rub by processing one third of fresh herbs and all dried spices and herbs in a food processor. 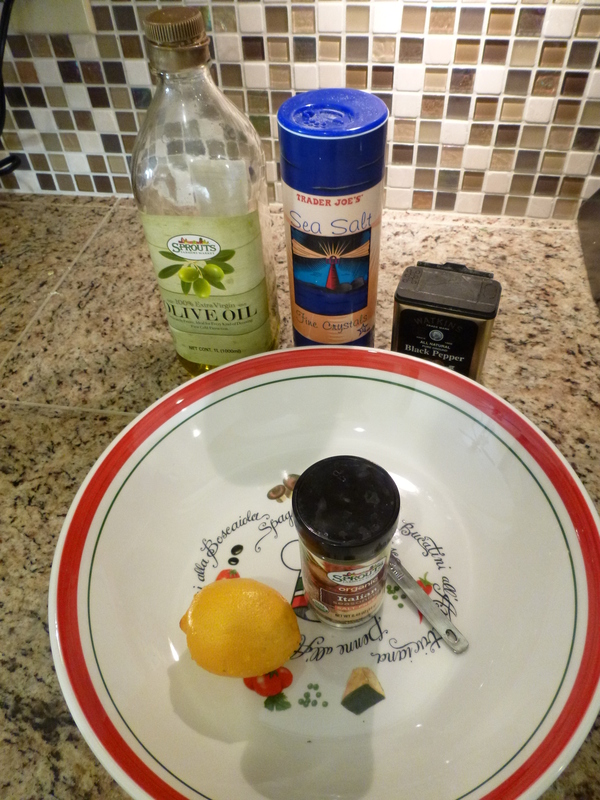 Then combine with 3 tablespoons olive oil. Now it’s time to give your chicken a spa treatment. Reach inside and pull out the gizzards. Set aside. Rinse your chicken inside and out with water and then set in your prepared roasting pan. Massage it inside and out with the oil/spice mixture. Stuff the remaining aromatics inside the chicken. Go ahead and put the chicken in the oven. Once your chicken is done cooking, carve. If you’re not sure how to carve a whole chicken, this video is pretty helpful. 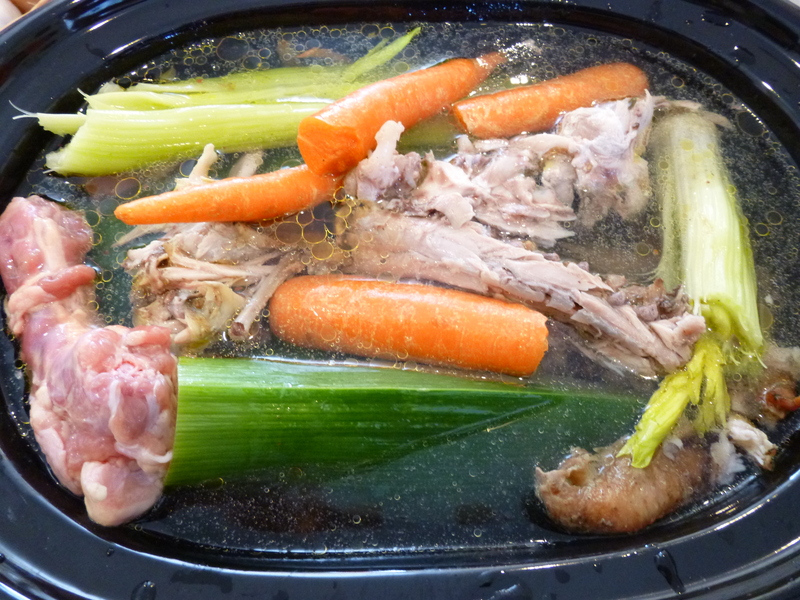 Finally we get to the part where you make chicken bone broth! Throw all the bones from the carved chicken into your slow cooker, along with your veggie trimmings. 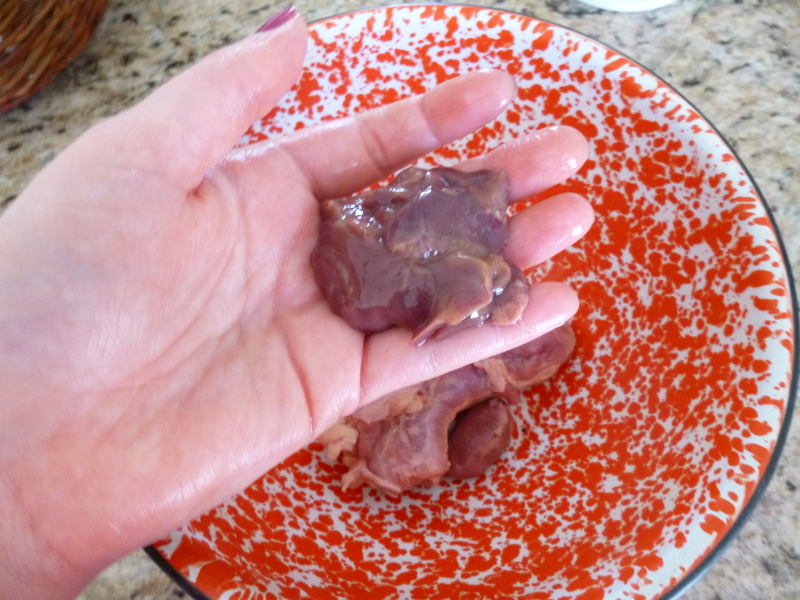 Also….let’s deal with the gizzards now. I like to add the neck and heart to my broth, but not the liver (some people are quite averse to the taste of liver in broth). The first picture is the neck and heart, which I throw in. Did I mention that I used to be a vegetarian?!? The next picture is the liver, which I throw out. 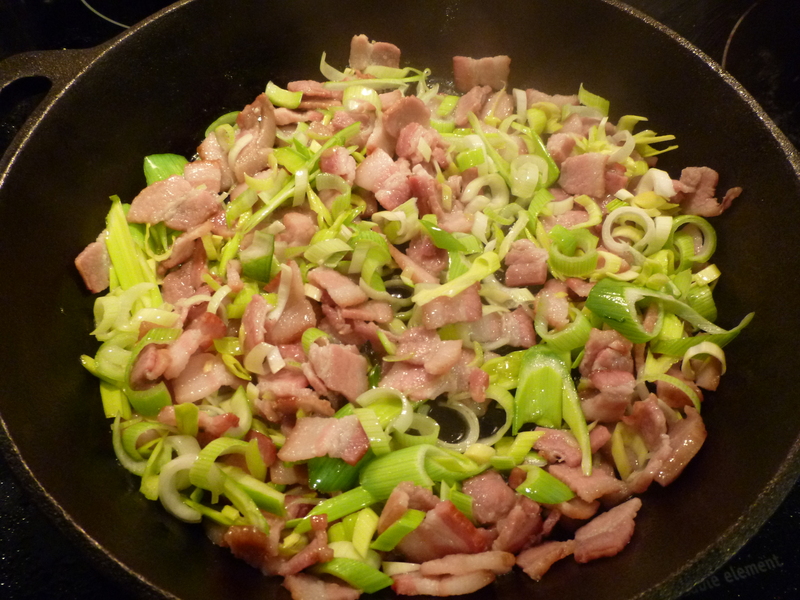 Add celery and any other aromatics you want, along with the apple cider vinegar and gizzards. Fill the slow cooker with filtered water up to the fill line. Cook on high for 2 hours, then on low for at least 6 hours, or up to 22 hours. 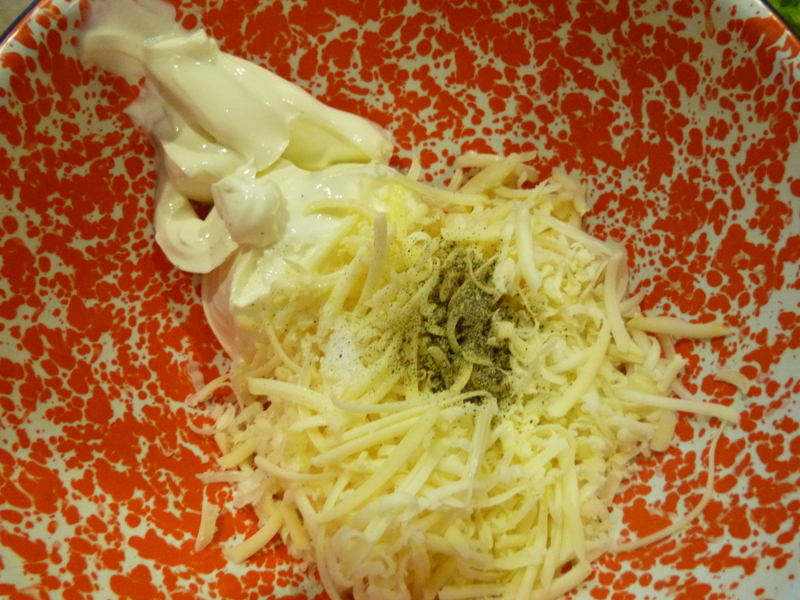 Then strain through a colander lined with a piece of cheesecloth into a large bowl. And there you have it. 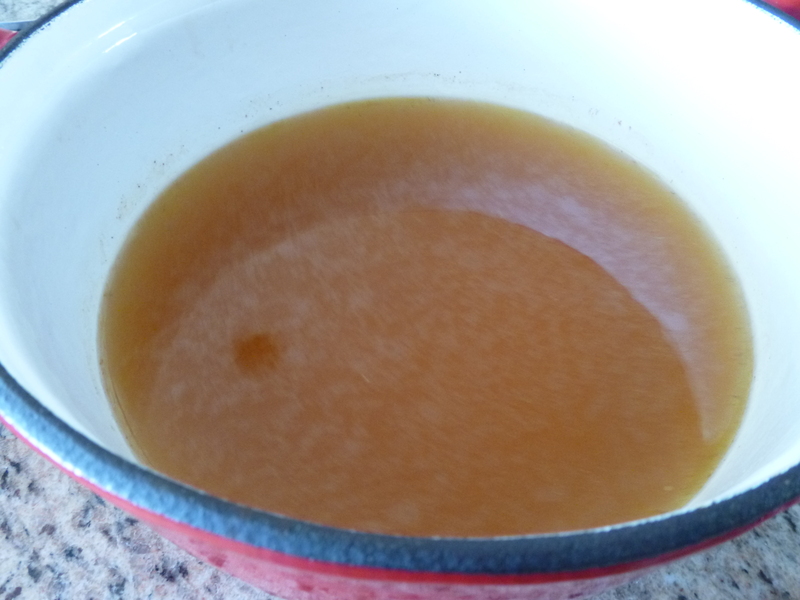 Beautiful, golden, nutritious bone broth! If you have any solid fat on the surface once it cools, scoop it off with a spoon and discard or use in the place of cooking oil. Pour white wine into large glass casserole dish. Arrange carrots, leeks, and 1/3 of the fresh herbs in the dish, with the leeks and carrots to the side and the herbs in the middle. 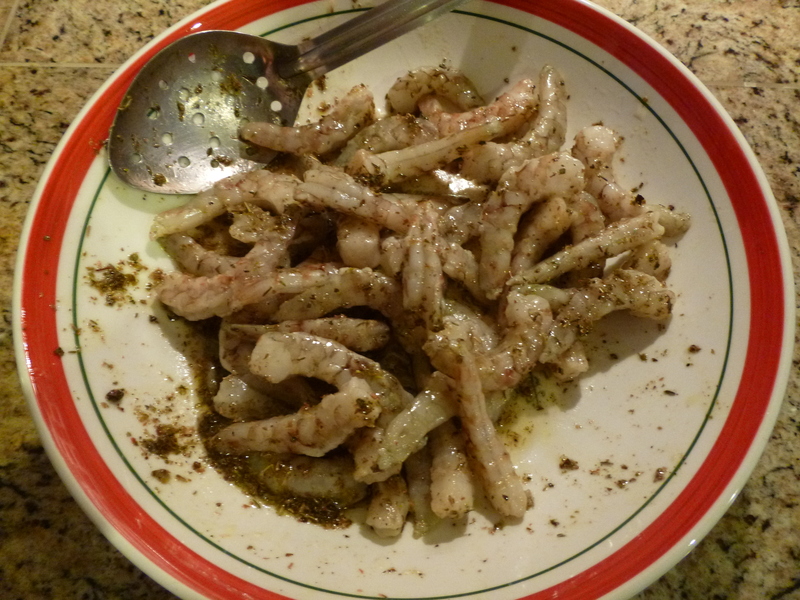 Drizzle with 1 tablespoon olive oil, and sprinkle with salt and pepper. 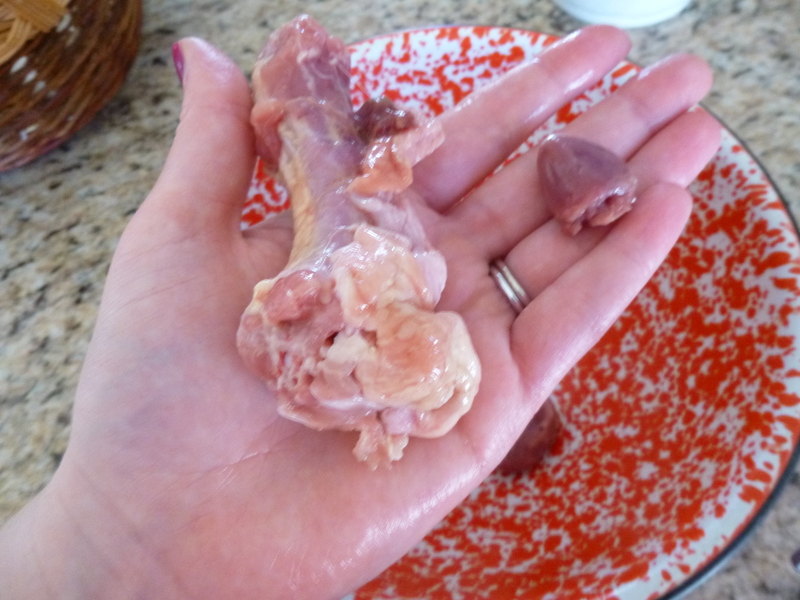 Remove gizzards from chicken and set aside. 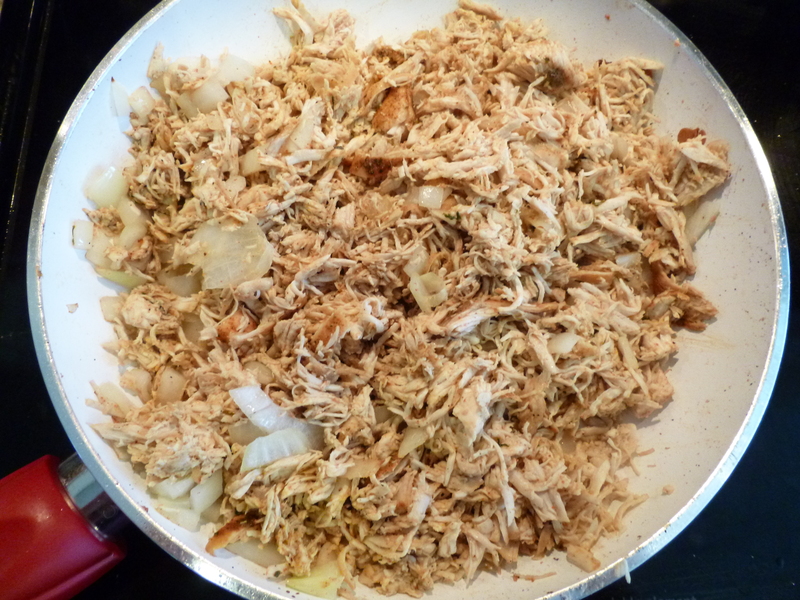 Rinse chicken inside and out and place in middle of casserole dish. 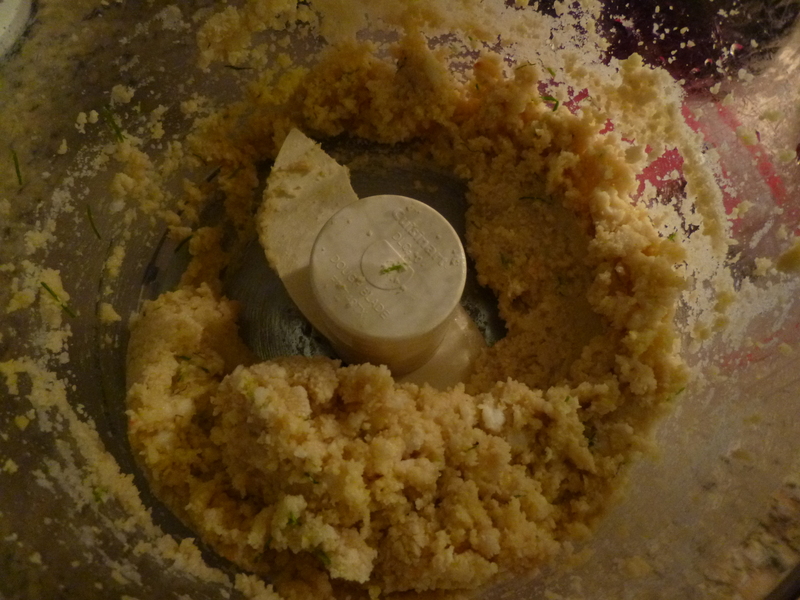 Combine all dry herbs and spices and another third of the fresh herbs in a food processor. Process until they are a fine powder. 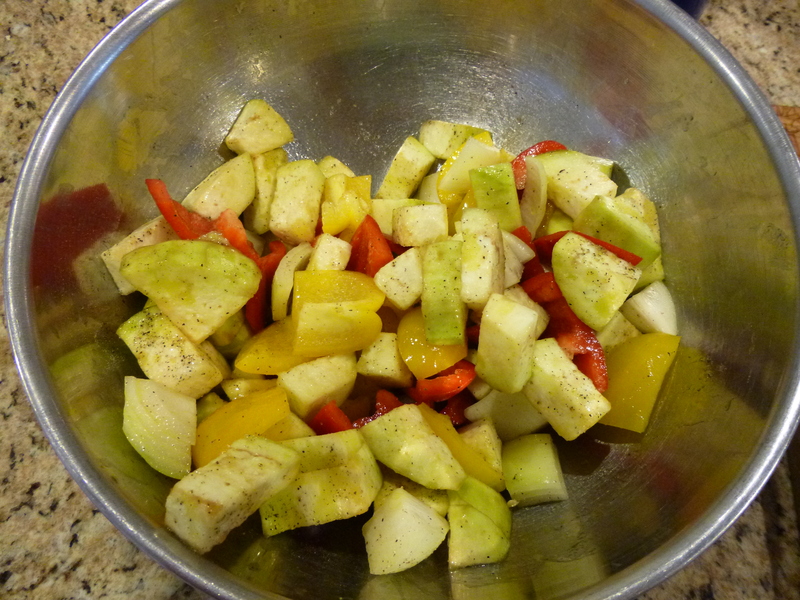 Mix with remaining 3 tablespoons of olive oil (the consistency should be like a thin paste). 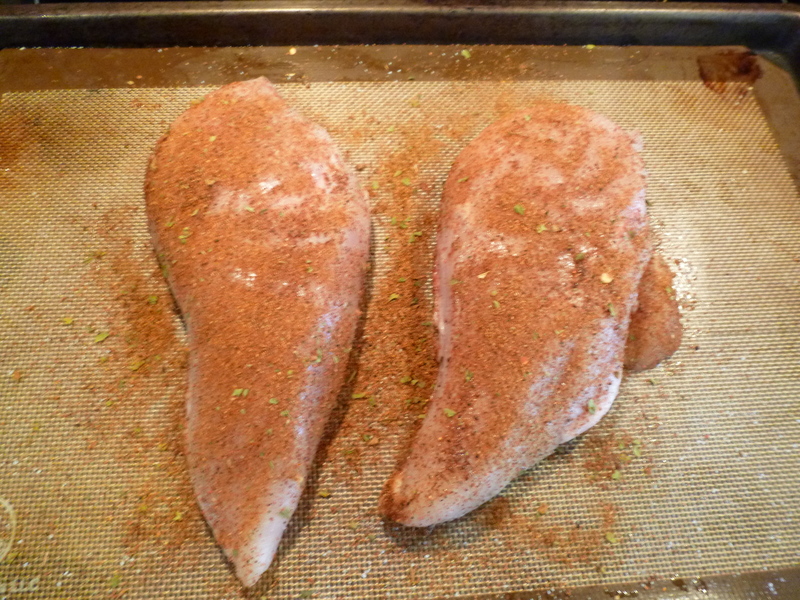 Rub the chicken inside and out with spice mixture. 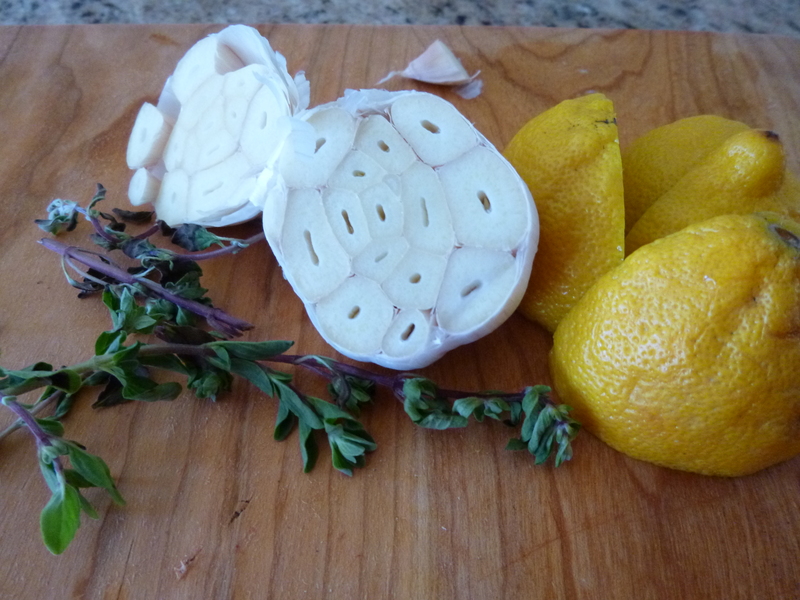 Stuff the remaining fresh herbs, lemon, and garlic inside the chicken. If desired, tie legs together with kitchen twine (I never do, but it makes for a pretty presentation). 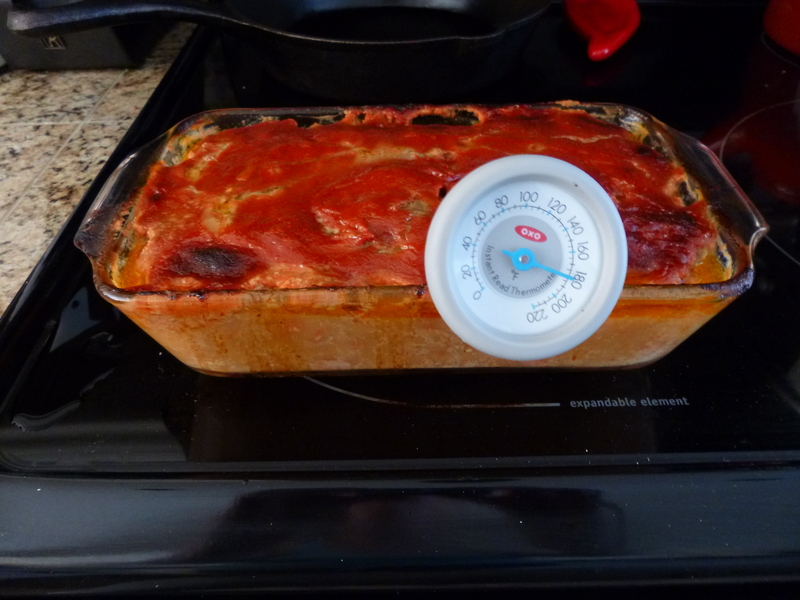 Bake for 3 hours, or until internal temperature reaches 165 degrees. 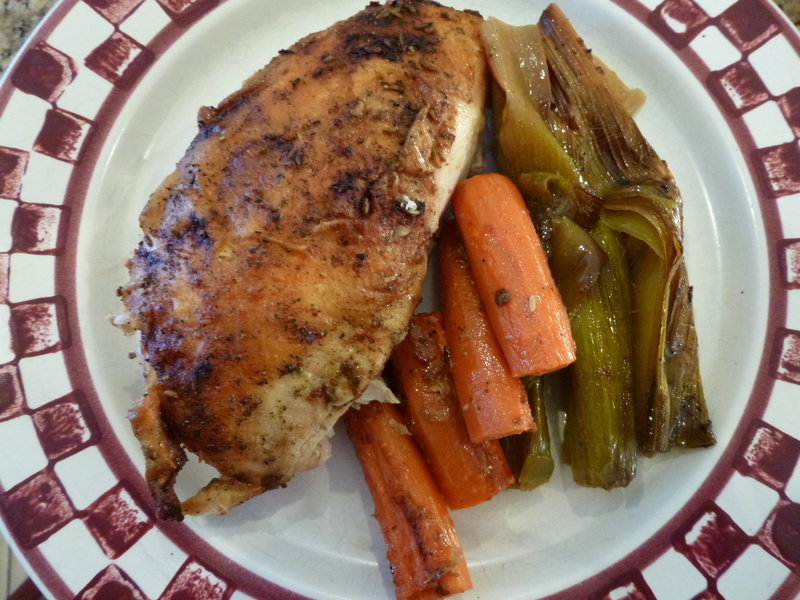 Rotate veggies and baste chicken with juices about once every hour. Let rest for at least 10 minutes before carving. 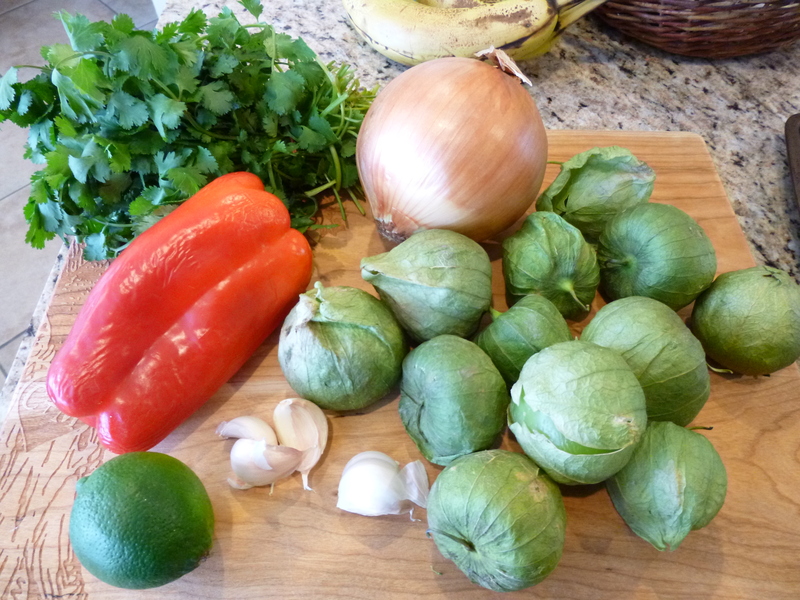 Add all ingredients except for parsley, salt, and pepper to slow cooker. Cook on low for 6-22 hours. Turn off heat and add parsley; allow to sit for about 10 minutes. Strain through cheesecloth and colander. Store in the refrigerator for up to five days, or in the freezer for several months. There are a million recipes for homemade almond milk on the internet, yet I was still hesitant to try making my own. For one thing, it takes some time to get used to the idea of soaking nuts for 7 hours or more before you even do anything with them. Also, I have like a $20.00 plastic blender that I got from a discount grocery store, so I was concerned that it might not be up for the job. Now, I’m realizing hesitating was a bad decision. First of all, homemade almond milk is so good for you. I’ve tried to find a good source of information on the nutrient profile of homemade almond milk, without much success. This source seems the most balanced to me. In short, it says that almond milk is surprisingly low in fat and calories. 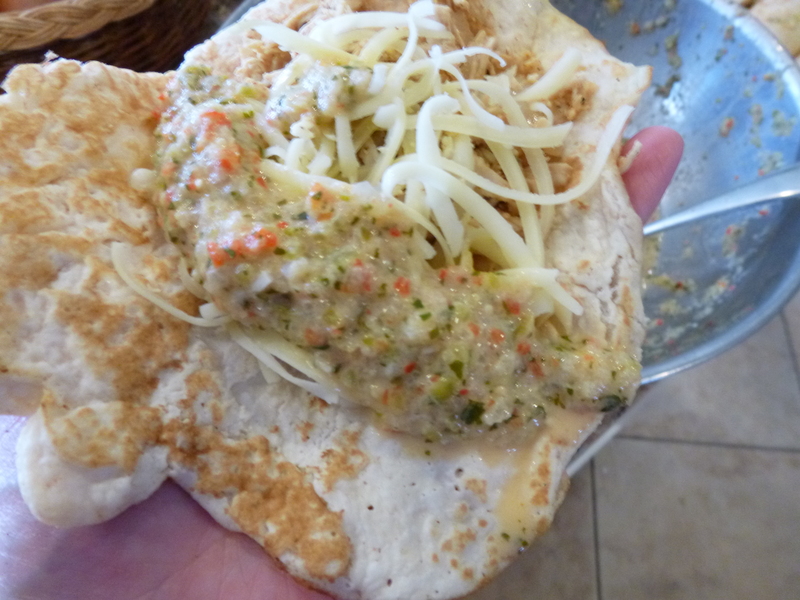 It has a little protein and a little fiber in it, and the fat that it does have is mostly heart-healthy omega-3 fatty acids. Almond milk is also rich in vitamins and minerals including vitamin E, manganese, selenium, magnesium, potassium, zinc, iron, phosphorous and calcium. Some of these minerals, like selenium and zinc, are important in regulating immune function. Magnesium facilitates many crucial functions and people with gastrointestinal diseases are one of the few groups at risk for chronic deficiencies (although you should not consume large amounts of magnesium when on antibiotics commonly prescribed for IBD, such as cipro). See this article for more information. Almonds are one of the best natural sources of this mineral, and it’s always better to get our vitamins and minerals from natural foods than from supplements, because our bodies are better able to absorb them and we are less likely to cause a new problem by introducing imbalance. 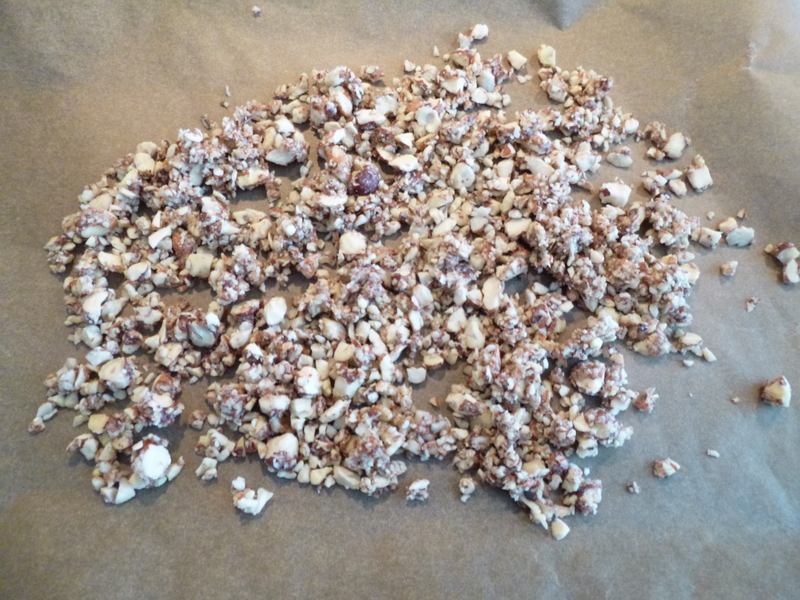 And by straining out the skins and solid parts of the almonds, almond milk is even easier to digest. So, have I convinced you to make almond milk a regular treat yet? The first step in preparing almond milk is to soak the almonds for 7-24 hours in a salt solution. This serves two purposes: first of all, it softens the nut and prepares it for processing—the longer the soak, up to 24 hours, the creamier the resulting milk; secondly, it breaks down and neutralizes enzyme inhibitors. Enzyme inhibitors, which are present in many nuts, seeds, grains, and legumes, are basically a defense mechanism of the plant. They prevent the plant from sprouting or breaking down in any way until conditions are right for growth. This makes it difficult for insects or drought to negatively affect the survival of the species, but it also makes it difficult for our own digestive enzymes to break down the food properly. By soaking the nut, we are basically tricking it into thinking that it is time for it to sprout and grow! 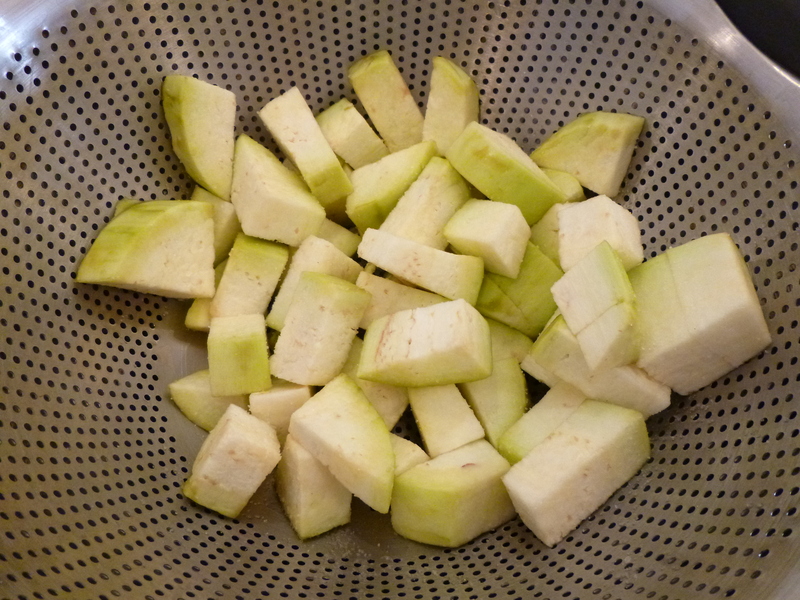 Once the nuts are soaked, the process is very simple: first rinse them in a colander with fresh water. 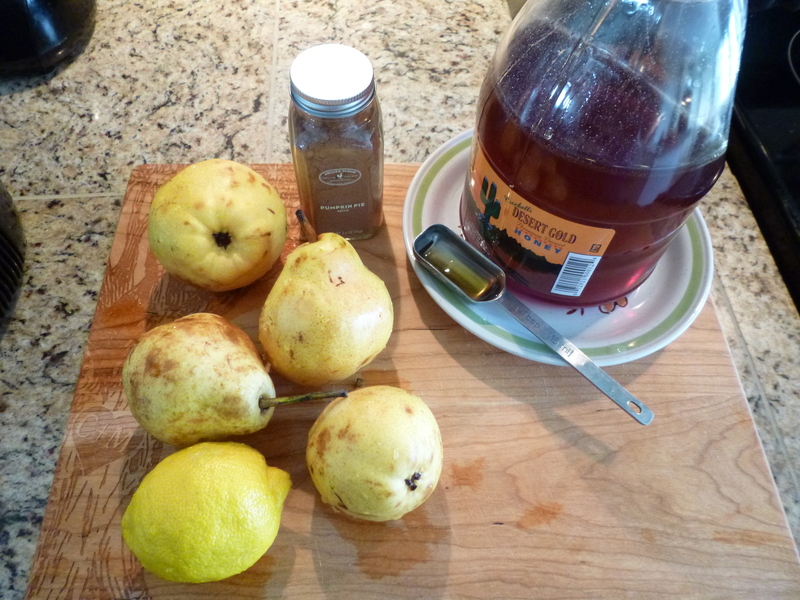 Then, blend with filtered water (I told you I didn’t have a fancy blender!). Strain through cheesecloth or a nut milk bag. Pour it into a jar or wherever you want to store your fresh almond milk. Measure almonds and place in a bowl. Dissolve sea salt in warm, filtered water, and pour over the almonds. 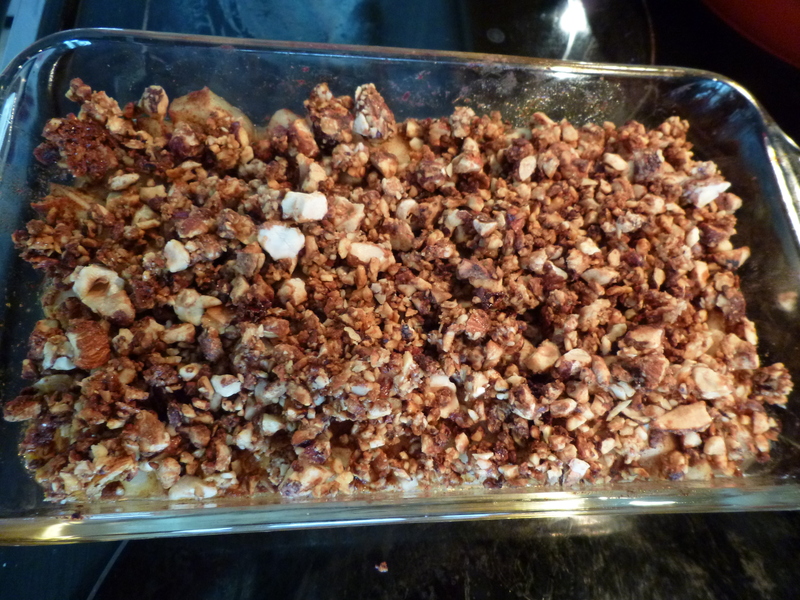 You want to use enough water to cover the almonds with a few inches, since they will expand slightly as they soak. Let almonds soak for a minimum of 7 hours, and a maximum of 24 hours. Drain almonds. Discard the soaking water and rinse thoroughly. Place almonds and 2 cups filtered water in blender. 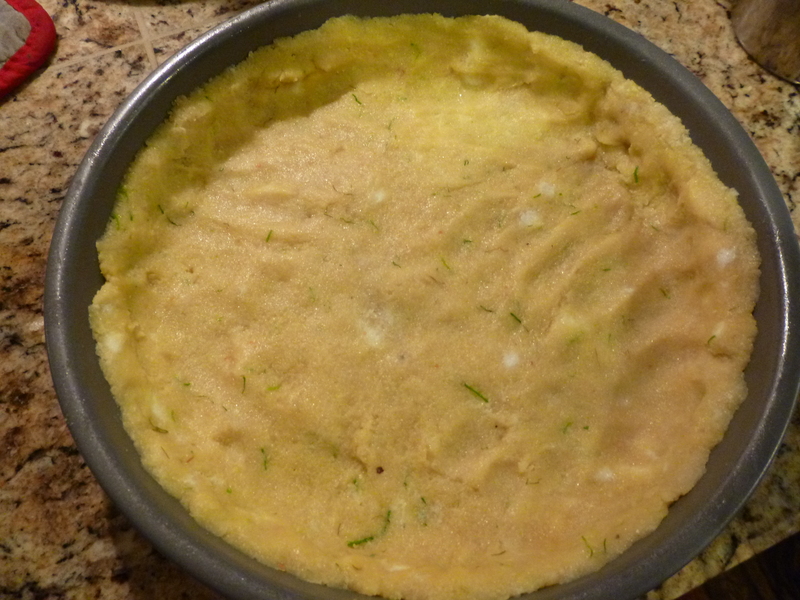 If you like, add dates or honey, vanilla, or any other flavorings you’d like at this stage. I like my almond milk plain. Blend on a high setting for about 4 minutes. Using a nut milk bag lining a mason jar, or a colander or strainer lined with cheesecloth and set in a bowl, strain the almond milk. Gently squeeze on the almond meal to extract as much milk as possible. Combined with a very small amount of coffee. SCD recommends only very weak coffee, so this way I get to feel like I’m drinking coffee but I get plenty of nutrients and less bad effects. Mixed with a banana, ice cubes, yogurt or kefir, and cacao or 100% fruit jam for a probiotic morning smoothie. In the place of liquid milk in recipes. It’s also nice to drink plain if I have any leftover (which I rarely do!). 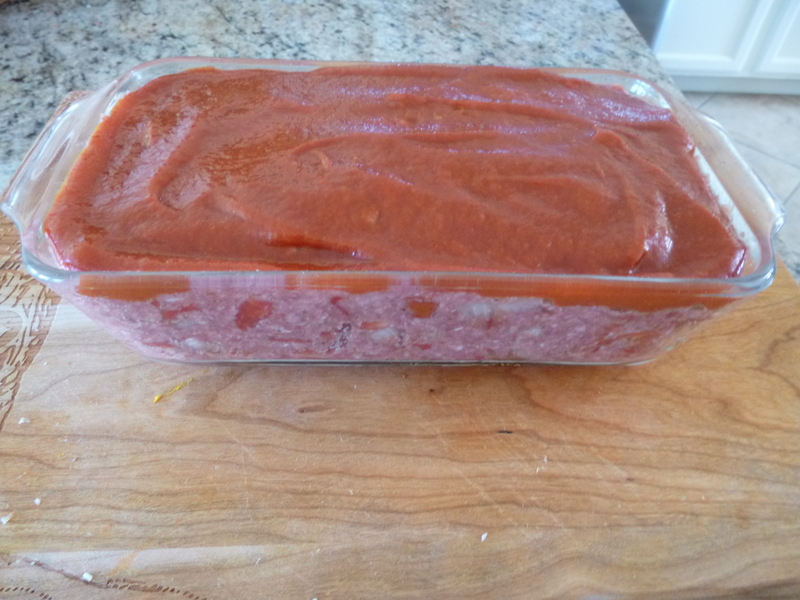 I paired my meatloaf with a carrot puree. 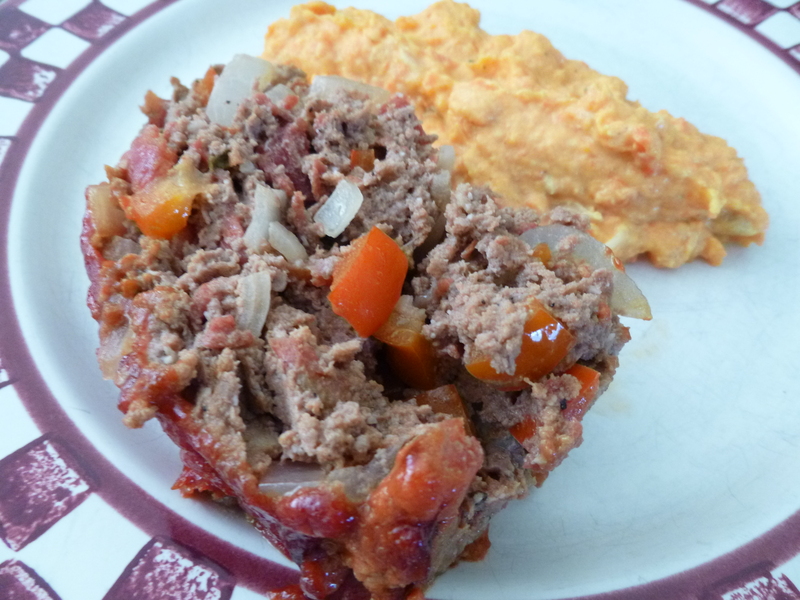 I got the inspiration from Nom Nom Paleo’s Cauliflower and Carrot Puree. I love me some cauliflower fauxtatoes, but cauliflower, broccoli, and members of the cabbage family can be harder to digest than other veggies. Soft cooked, pureed veggies are easy to digest, and cooked carrots are especially belly friendly. 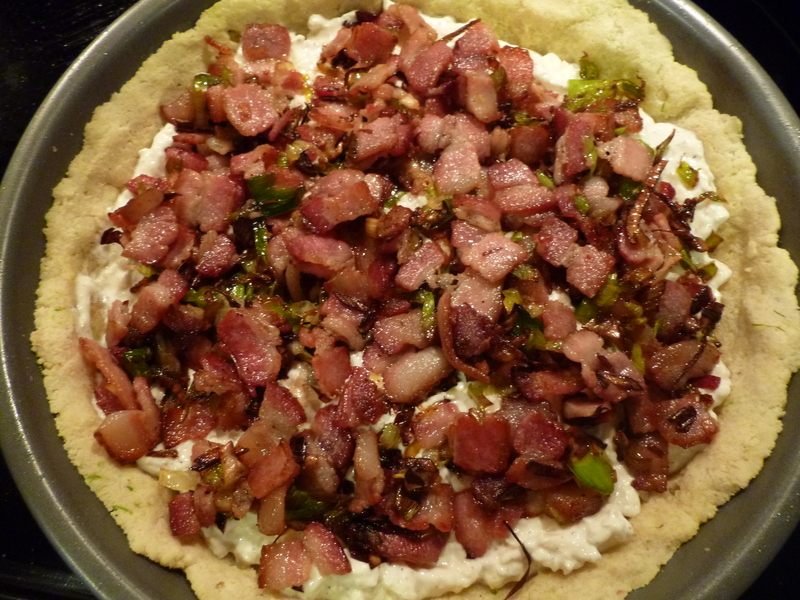 So I decided to leave out the cauliflower and tweak the recipe a bit. But forget about your bellies and let’s focus on your tastebuds. This puree is rich, creamy, and decadent tasting. It’s full of nutrients. 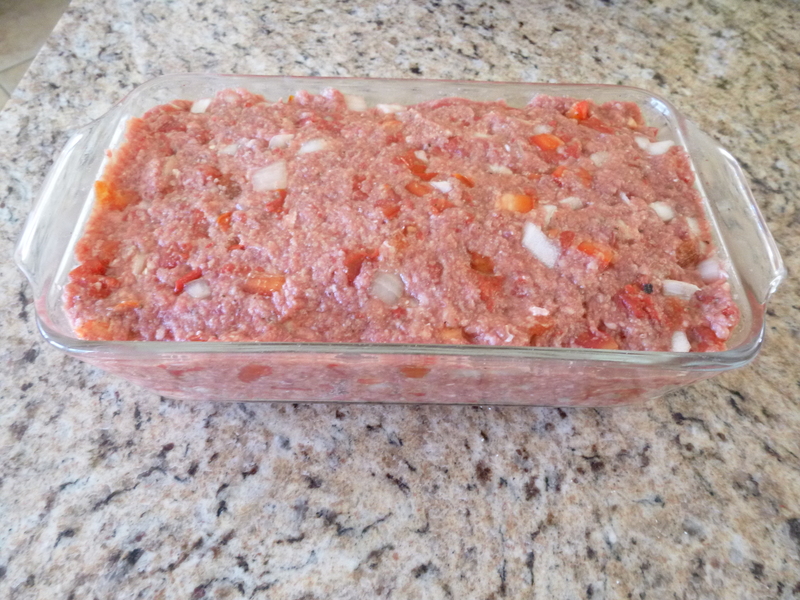 It can be prepared in a single pot. The carrots make this side dish sweet and earthy, while the yogurt adds a pleasing tang. And to be honest, I would rather eat this than mashed potatoes any day of the week. Even on Thanksgiving. Chris, who doesn’t even like carrots that much, asked for seconds! Chop your veggies and get out your butter and chicken stock first. Throw that all in a pot. 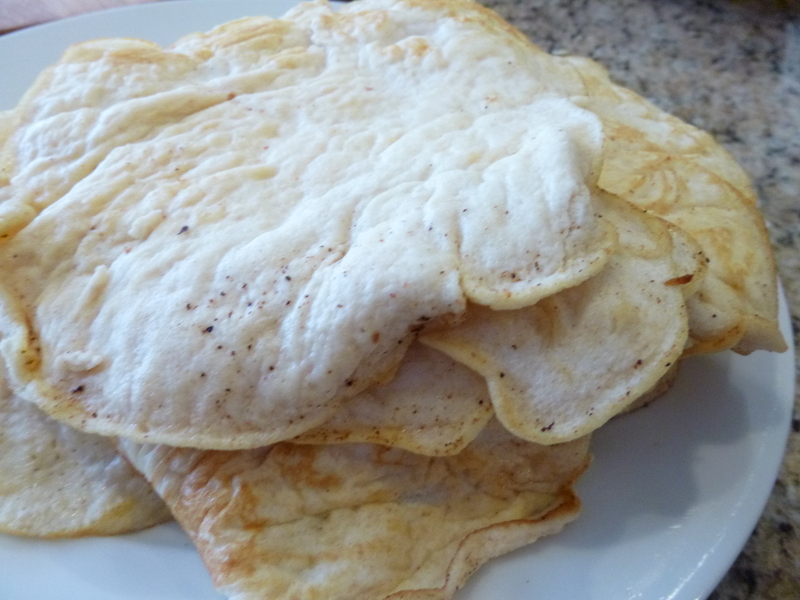 When everything is cooked and soft, remove from heat and plop the yogurt on top. Heat a stockpot over medium high heat and add the butter. 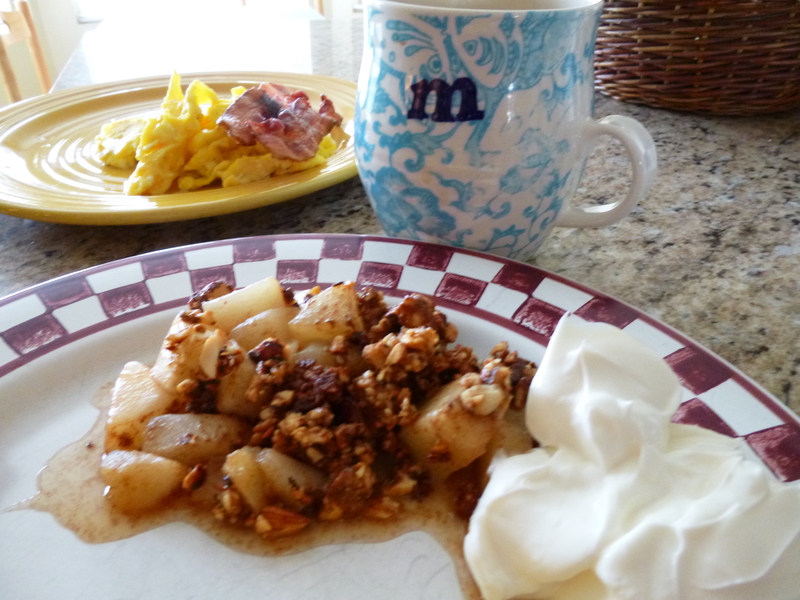 I used goat butter because it’s extra delicious (don’t tell Chris! He hates goat everything! ), but cow milk butter would work as well. 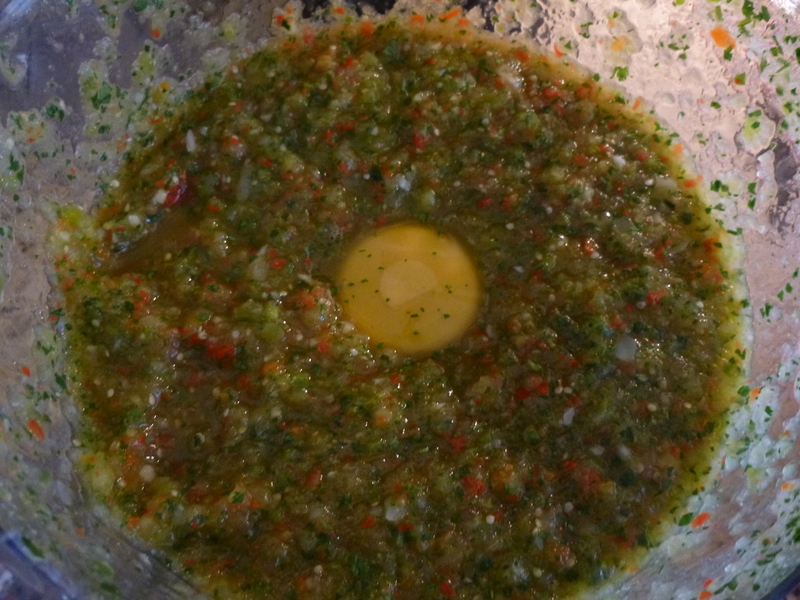 Add all the chopped vegetables and the chicken stock to the melted butter. Once the liquid boils, cover and turn heat down to low. 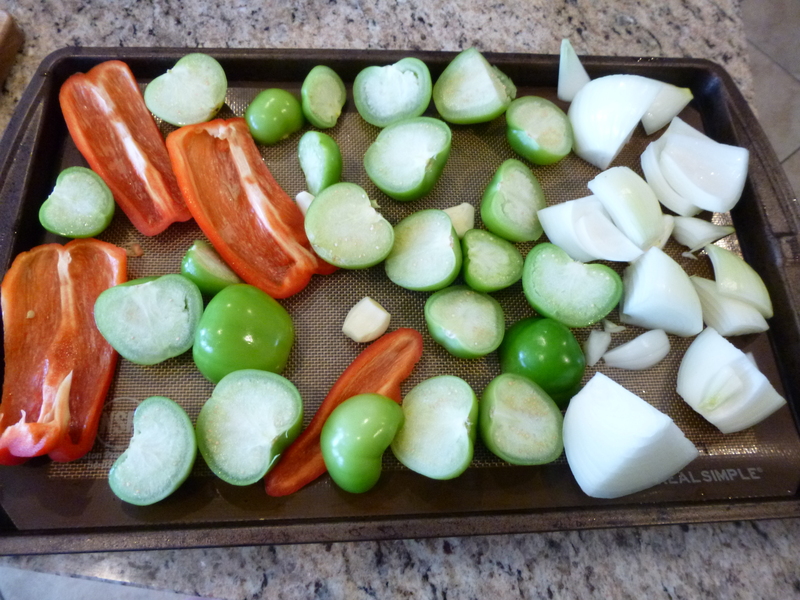 Simmer 30 minutes, or until the vegetables are very soft. Check on them occasionally to make sure the pan is not dry. Ideally by the end of the cooking time the stock would be reduced almost to a glaze, but there would be no burnt spots on your veggies. 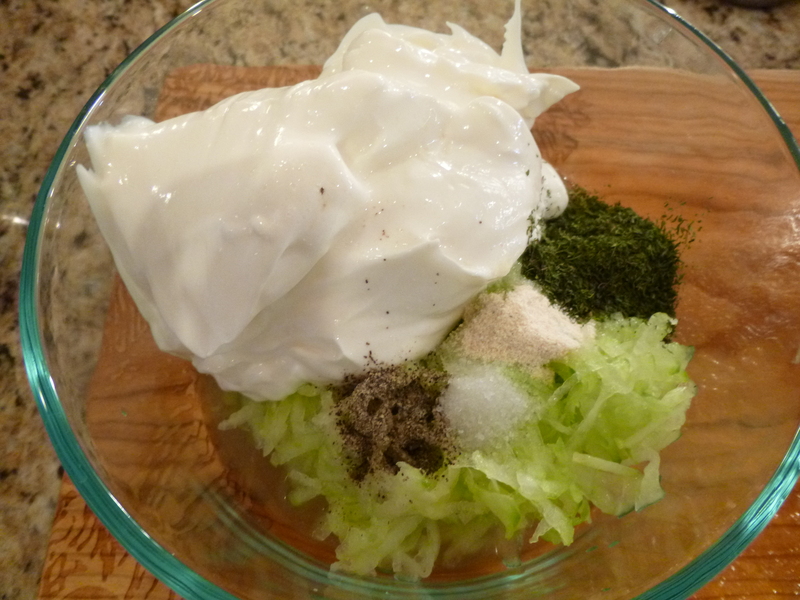 Add in strained yogurt and process with immersion blender until smooth. Please note: If you add in the yogurt when the vegetables are still very hot or reheat leftover puree, you will kill off most of the beneficial bacteria; but, since the lactose in the yogurt should have already been digested by the bacteria, this is still preferable to using other dairy products. Taste and adjust seasoning with salt and pepper. Voila. You have a simple, nutrient-dense, comforting dinner. You could feed this to your family and to your friends who don’t even know or care what SCD is. They’ll be happy, full, and everyone’s tastebuds AND tummies will thank you!